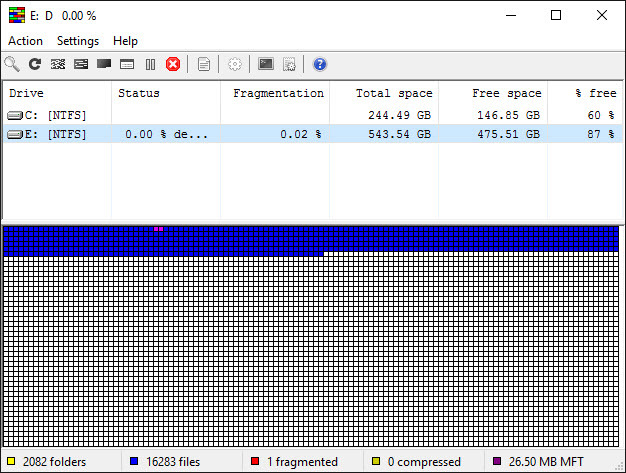 UltraDefrag is a free open source defragmentation tool for Windows operation system. It will run on Windows XP, Windows Server 2003, Windows Vista, Windows Server 2008, Windows 7 and Windows 8. It supports 32-bit,64-bit and available as portable version.It supports more than 60 languages – multilingual graphical interface. In UltraDefrag the Action tab contain five important features. Thats are Analyze, Defragment, Quick optimization,Full optimization and MTF optimization. 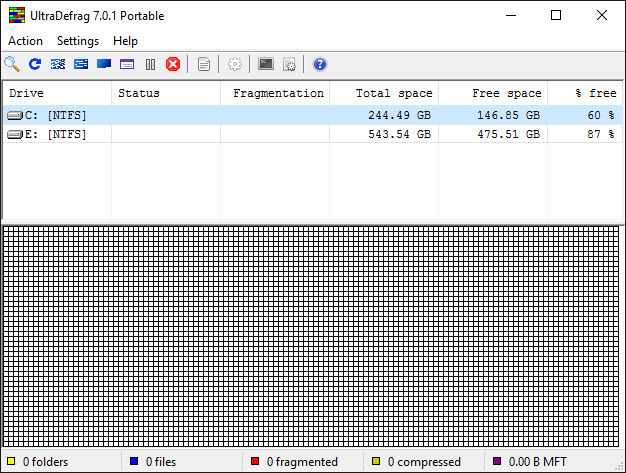 Analyze function analyzes the disk and gathers complete information about files and free space gaps. 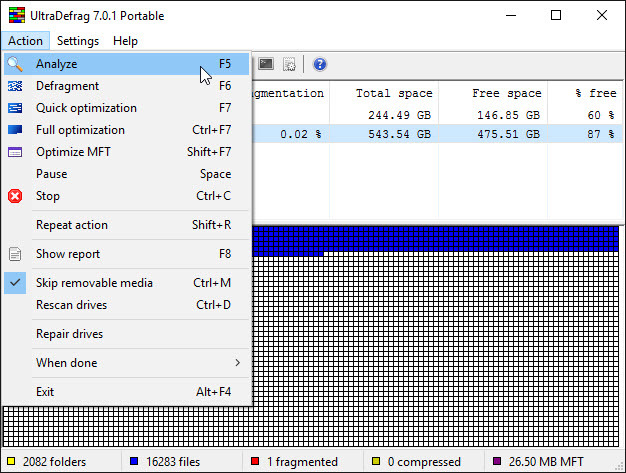 Defragment option eliminates the fragments of files in your hardisk.The option Full optimization moves all small files and fragments to the end of the disk to release some space in the beginning. Then it moves them back and FAT directories and NTFS master file tables get fixed with sorter option.There is no sorting option in quick optimization. UltraDefrag can defrag locked paging, hibernation files, NTFS metafiles (including MFT) and streams.It has powerful command line interface and boottime scan option.And it supports scheduled defragmentation, automatic termination when specified time interval elapses and automatic hibernation or shutdown after the job completion. You can config the UltraDefrag via the configuration file by going to Setting->options.